Demonstrates how to manage WiFi networks. 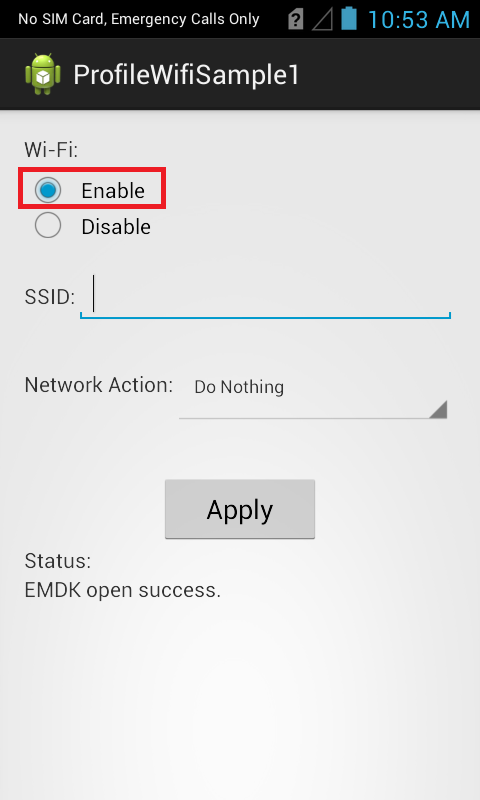 The EMDK for Android allows you to configure Wi-Fi of a Symbol device. Note: In order to perform all Wi-Fi network operations, Wi-Fi should be enabled. 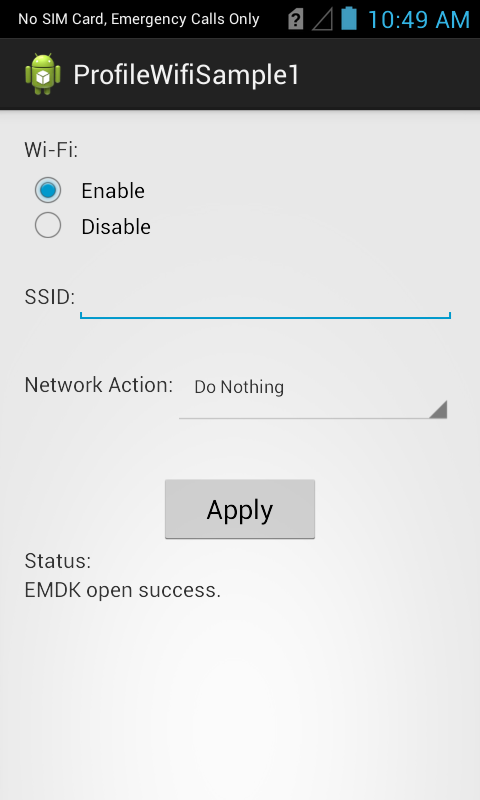 This sample application will allow you to perform all the above mentioned Wi-Fi actions on Symbol device. Select the Wi-Fi operation you want (Enable/Disable). 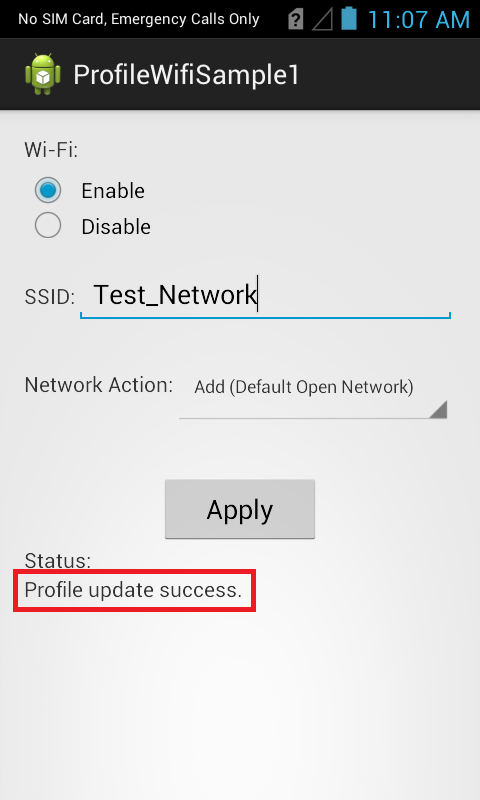 Select the Network action you want to execute from the Network Action drop-down. 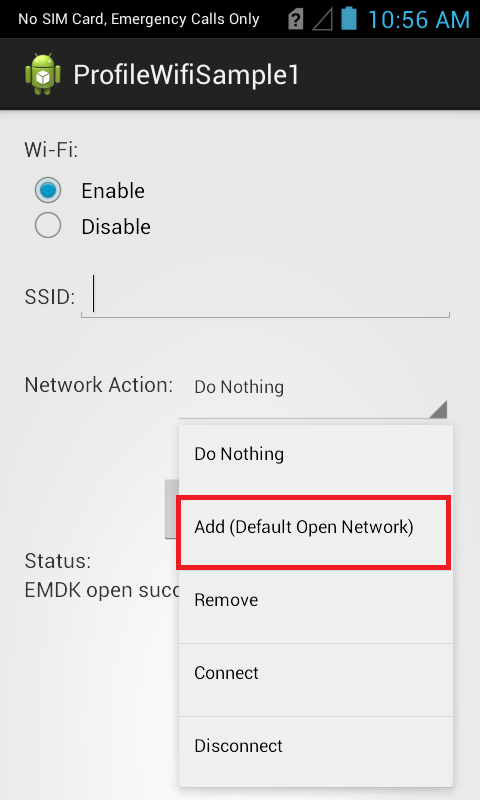 Let us select "Add(Default Open Network)" option. Note: You could also add Personal Network with Passphrase and Enterprise Network with required certificate, which is not in the scope of this sample. 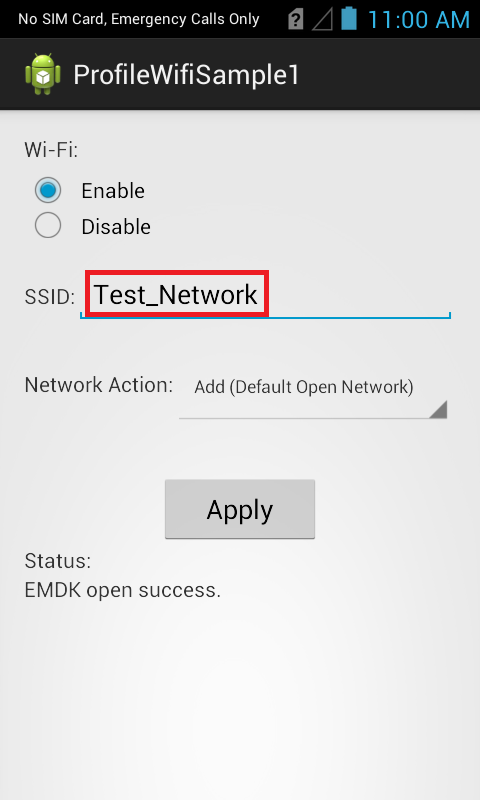 Provide some SSID to the network you want to add in SSID field (Ex. Test_Network).